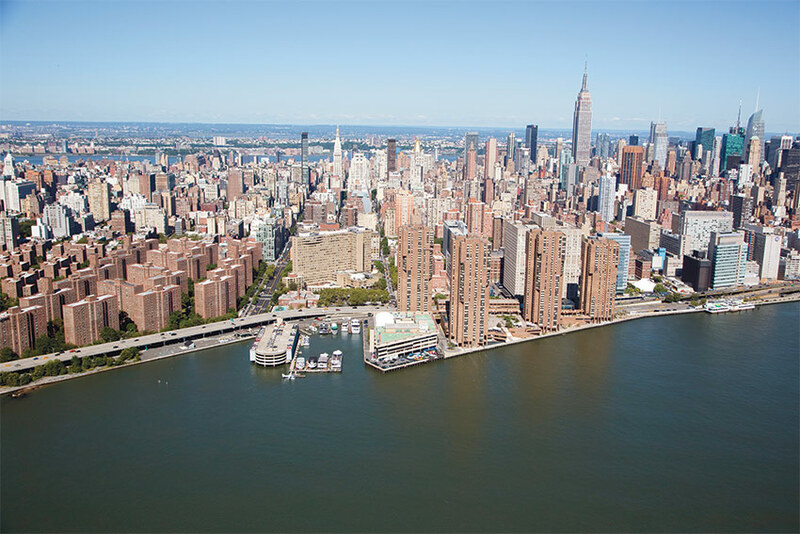 Manhattan’s East River Park, home to sprawling fields, winding bike paths, and a landscaped promenade, was badly damaged when Hurricane Sandy tore through the city in 2012 and the Lower East Side flooded. 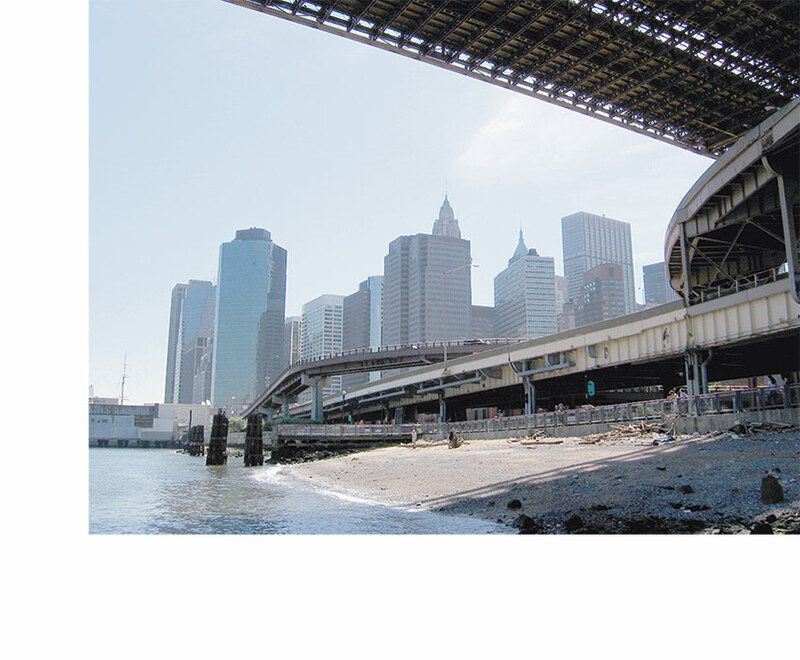 Since then, New York City officials have been brainstorming ideas to protect the park, along with the remainder of Lower Manhattan, from rising seas. The city’s latest proposal calls for burying the existing East River Park under 10 feet of landfill, before building a new one from scratch, according to The New York Times. This differs from the original plan, which aimed to push back the flood walls from FDR Drive toward the East River along the water’s edge, shielding the highway and large swaths of the LES from rising floodwaters. 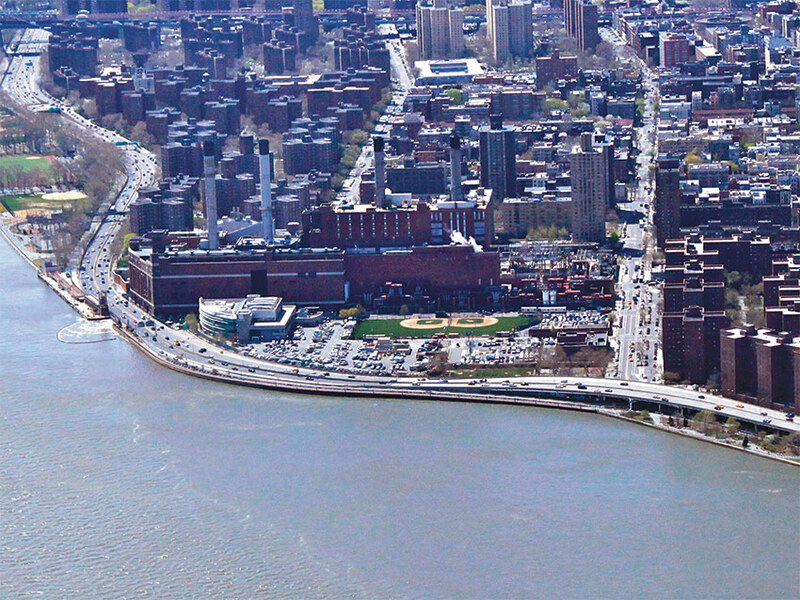 The meticulously-thought-out design, which took over four years to assemble, was only the first link in a series of barriers around Lower Manhattan known as the “Big U.” In September 2018, with no community input and to the dismay of inner-city residents, the city announced that the entire plan was being rejected in favor of the new project. 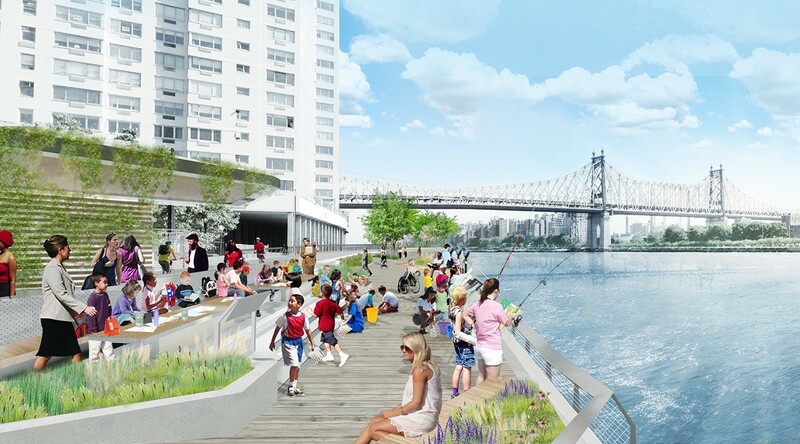 The new, $1.5 billion proposal is not only significantly more expensive than its $760 million predecessor, but it will also destroy all trees, plant life, and infrastructure that currently exists within East River Park. Both the park’s field house and running track, which was recently revamped at a cost of nearly $3 million, will be buried beneath the soil, while the fate of the site’s historic amphitheater remains unknown. The latest plans will preserve one thing in the area: traffic. 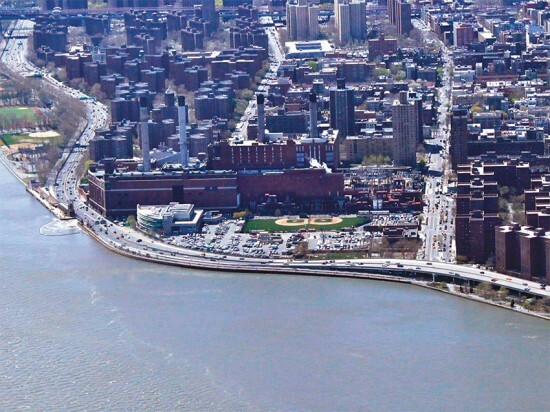 To construct the Big U, the city would have had to shut down one lane of FDR Drive every night for five consecutive years. 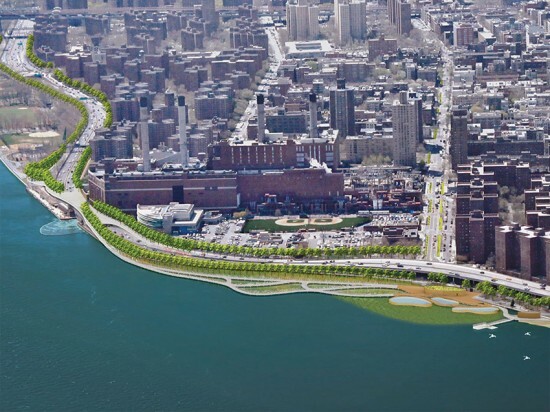 By burying the park with landfill and soil that is delivered by barge, the new plan will cause little to no traffic disruptions. According to the Times, while local residents feel as though they are not receiving a fair trade, Parks Department commissioner Mitchell J. Silver claimed that, with the East River expected to rise over two feet within the next 30 years, burying the existing park to build a more elevated one is the only way to save the land. The new plan is scheduled to launch in March 2020, with flood protection barriers implemented as soon as 2022, though local residents are still doubtful as to whether or not the city will complete the project on time due to its history of construction delays. 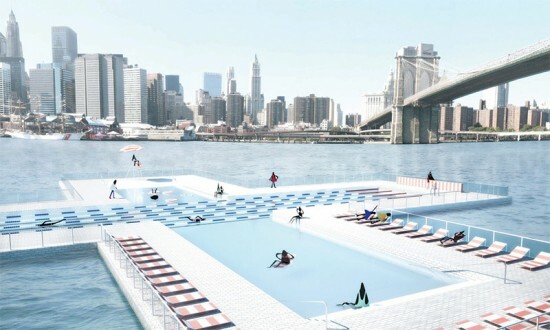 +Pool, the initiative launched in 2010 to install a public pool in the East River, is now sponsored by Heineken and recently launched a community involvement website to mark the partnership. 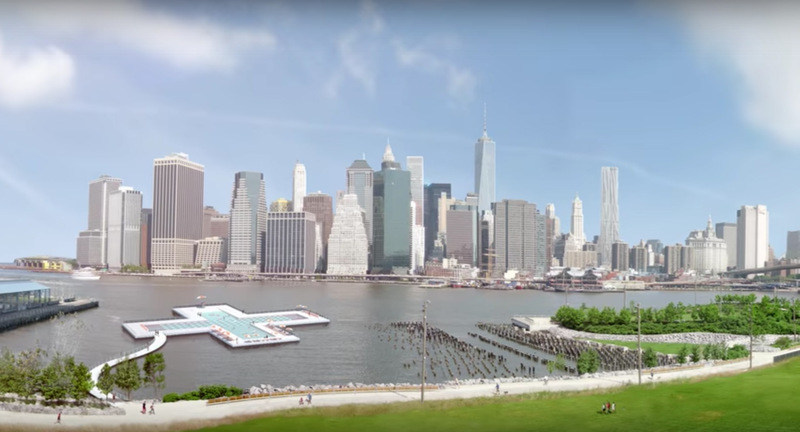 Heineken has sponsored similar projects, like James Murphy’s Subway Symphony, through The Cities Project Initiative, a program which aims to bring positive change to urban environments around the world. Despite a highly visible public profile, +Pool has been unable to meet its ambitious timeline, which promised a summer 2016 inauguration with a performance by Beyonce (!?). 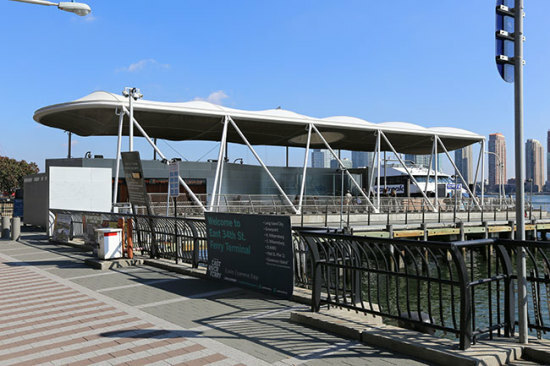 The organization also missed its much-anticipated deadline in 2013 to build a public mock-up pavilion, however was able to launch a test filtration apparatuses 2014 called Float Lab. The test was active for 6 months and provided critical data for the proper function of the system. This new partnership with Heineken may provide the jolt of activism needed to finally realize the project in full. The Hudson River Greenway will soon meet its other half. 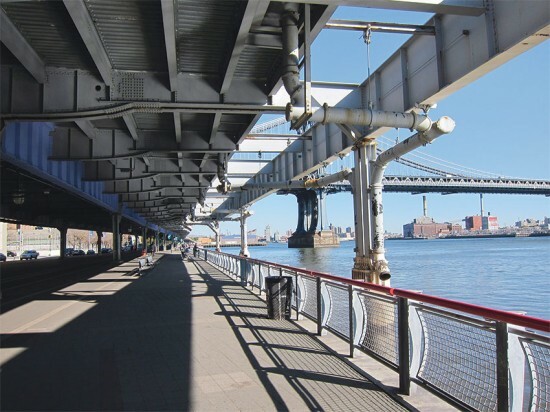 Mayor Bill de Blasio has confirmed plans to extend the Manhattan Waterfront Greenway along the East River between 61st and 53rd Street. The Greenway has been in development since 1993 and connects the majority of Manhattan’s waterfront with pedestrian and bike paths. 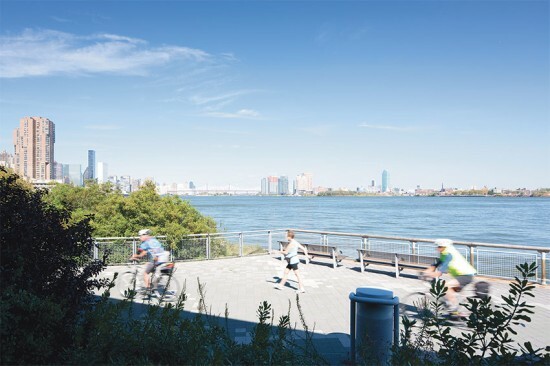 The last upgrade connected two legs along the Hudson River Greenway between West 81st and 91st streets and it is now the busiest bikeway in the U.S., according to the Mayor’s Office press release and an article in USA Today. 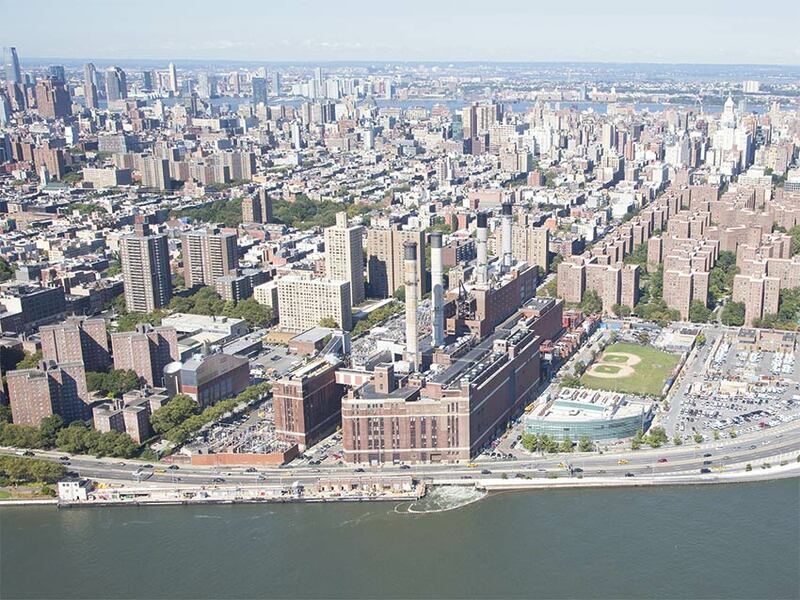 The Mayor has allocated $100 million in City capital for the project in the Mayor’s Executive Budget, the entirety of which will be announced April 26. 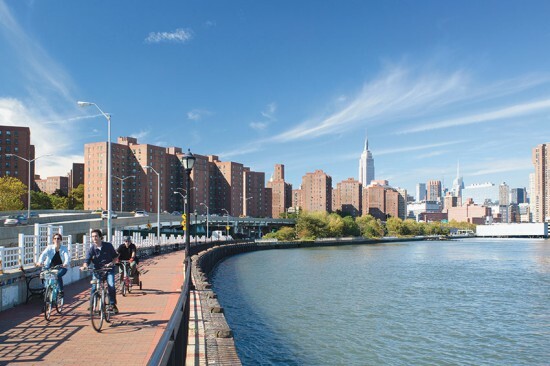 “The Hudson River Greenway has vastly improved quality of life on the West Side, and we want families in every corner in the borough to have that same access to bike, walk, and play along the water,” said Mayor de Blasio in a press release. 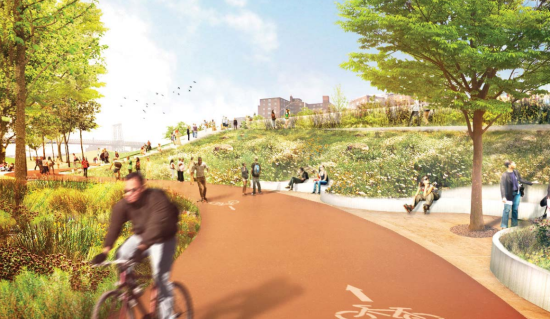 “This is the first of many big investments we’ll make as we bring the full Greenway to reality.” Along with the new esplanade, the Mayor has also set aside $5 million to conduct studies of other sections of the Greenway that have yet to be connected to the main loop. 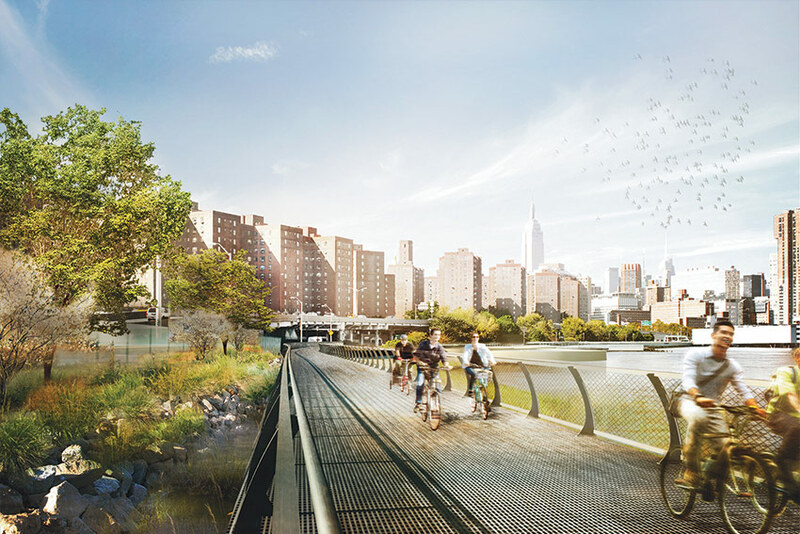 As cycling continues to grow in popularity as both a leisure activity and viable form of commuting, the City continues to push for a completed 32-mile Greenway, which would encircle the entire island of Manhattan. 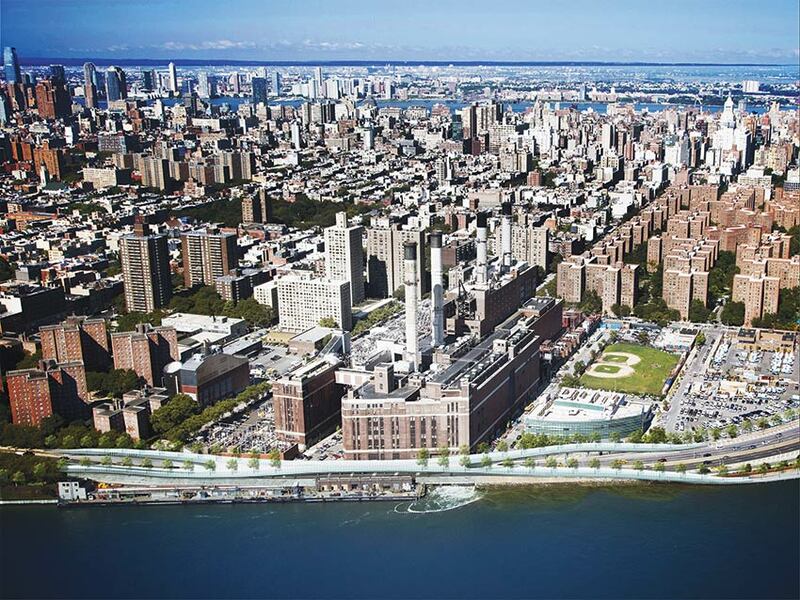 When asked whether the city would hire an architect for the esplanade, the Mayor's Press Office said the city was still assessing the best approach to the project. For the time being, the new esplanade is moving into the design phase and is expected to be open and ready for cyclers, runners, and walkers alike in 2022. Archtober Building of the Day #17 East 34th Street Ferry Terminal E 35th Street at FDR Drive KVA Matx Public architecture is alive. The 34th Street Ferry Terminal, designed by KVA Architects, integrates structure, social use, the natural environment, and digital technology to realize an architecture that is sensitive and responsive to its surroundings. This approach, called “soft” or “resilient” infrastructure, creates a dynamic civic space in which flows of water, people, and information are manifested in the structure. 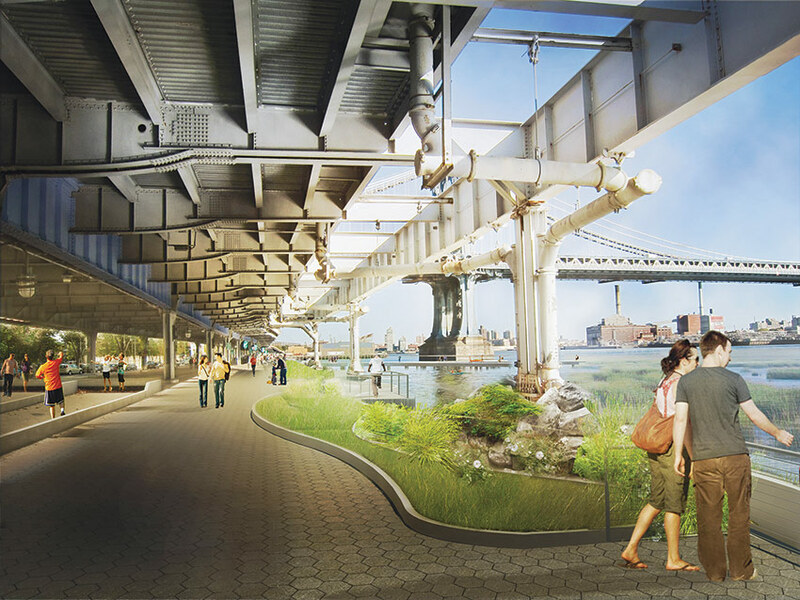 Inspired by Walt Whitman’s 1900 poem, “Crossing Brooklyn Ferry,” the design emphasizes the fecundity of the waterfront and the multiple uses of the pier, not only that of the commuter but also that of the wanderer, viewer, or fisherman. Technology accentuates elements of nature so that the commuter might slow down, absorbing the light, water, and the beautiful terminal, before entering or re-entering the city. 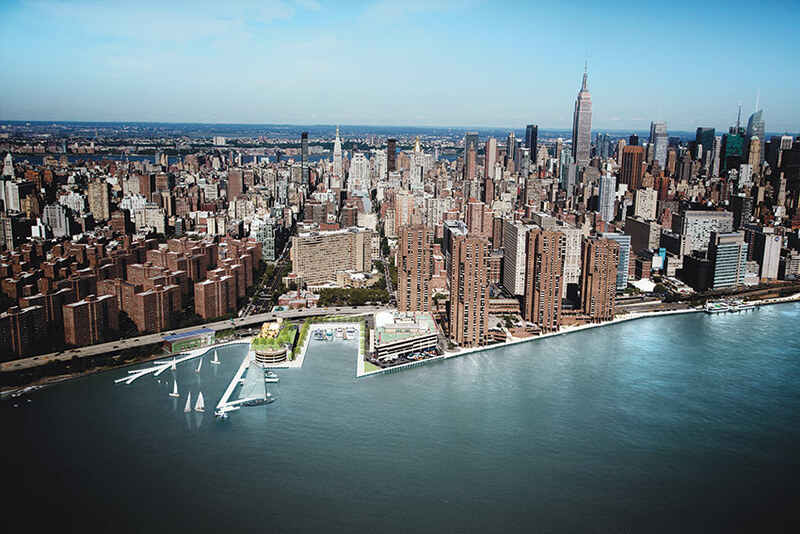 The project itself required responsiveness and adaptability on behalf of the architects. Over the fourteen years it took to complete the project, the plan underwent radical changes. Originally planning to build an encased glass structure, the terminal is now an open air, cloud-like canopy made of Teflon-coated PTFE and supported by slender triangulated steel columns. One of the flaws of the original pier structure, which they reclaimed, was that it was higher up than the point of entry onto the boats, and required stairs. Creating a second, narrower, and accessible pier opened up the opportunity to frame the water and create a second row of seats for viewing. 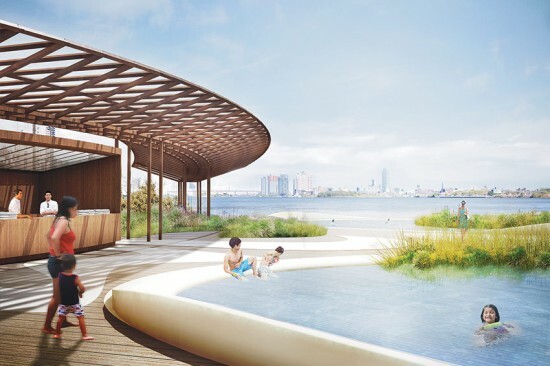 The architects used this structural obstacle to create a place for visitors to observe and experience the water without standing on the edge of the pier. The reflection from the water within this “frame” creates a dappling, caustic effect on the underbelly of the pier and roof canopy. The steel, undulating walls are perforated to repeat this visual effect, called a moiré pattern. KVA used sensory technology to repeat the naturally occuring beams of light between the building and the water in its LED system. The canopy roof has three “oculi” with LED lights around the perimeter. When people move across the pier, the LEDs light up in a pattern that reflects the pattern of movement, from the east to the west, or west to the east, of both the pier and the oculi. 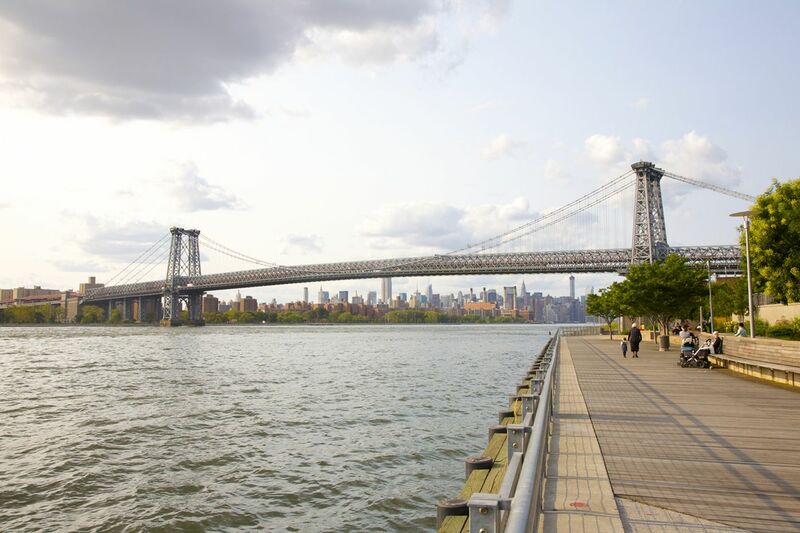 When the tides flow from the north to the south, or from the south to the north (the East River is a tidal strait, not a river), the LEDs brighten in a pattern that reflect the movement of the water at that moment. Whitman’s poem, written in 1900, calls attention to the future of the ferry passage: Fifty years hence, others will see them as they cross, the sun half an hour high; A hundred years hence, or ever so many hundred years hence, others will see them, Will enjoy the sunset, the pouring in of the flood-tide, the falling back to the sea of the ebb-tide.” The project started in 2000, 100 years after the poem was written. Since 2000, development on the Brooklyn and Queens waterfront has proliferated. The structure survived Hurricane Sandy, and can stand up to winds twice that strength. The terminal itself was created through digital fabrication, technology that enabled an undulating, steel structure that could not have been built twenty years ago. 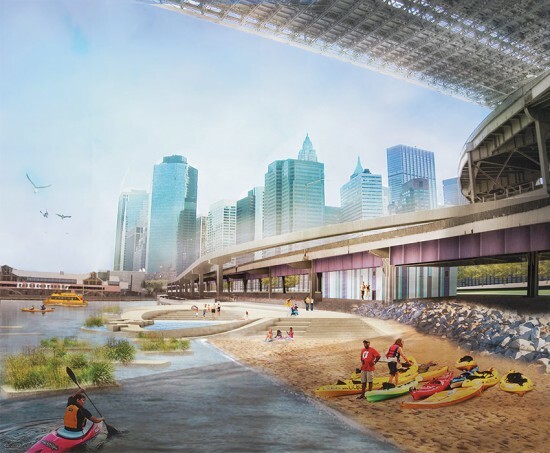 Where will the terminal, the ferry system, and the New York City waterfront be in the next 100 years? 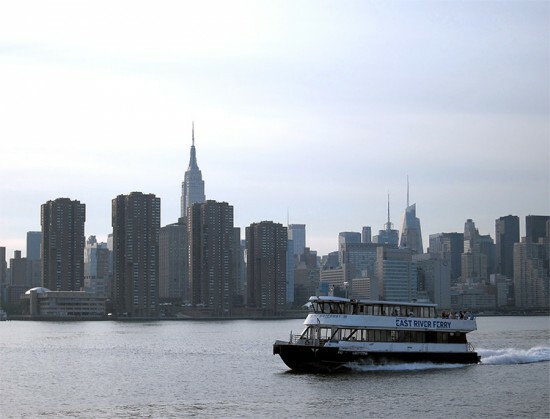 Board the East River Ferry to the Schaefer Landing-South Williamsburg terminal, located at 440 Kent Avenue at South 10th Street, to arrive at the Building of the Day Tour tomorrow, Navy Green Supportive Housing. Julia Christie is a Public Information Assistant at the Center for Architecture. It's been a mild winter so far in New York, and with the first onset of below-freezing temperatures, city folk are donning their heavy jackets and gloves. And while the winds whipping around the glass and steel towers of Manhattan might feel as if it's as cold as it's ever going to be, consider a century ago when temperatures were low enough to freeze the East River from the banks of Brooklyn to the Manhattan waterfront, still two different cities at the time, providing thrill-seeking pedestrians with an instant new crossing years before the Brooklyn Bridge was built. 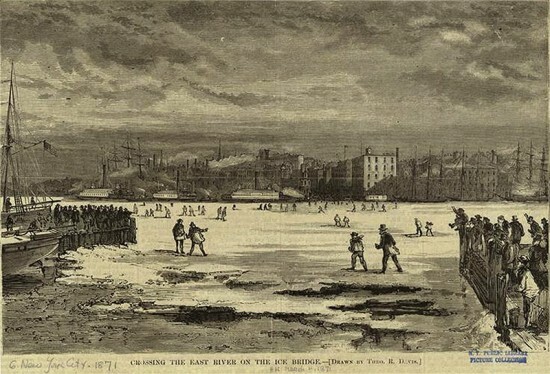 The above view was engraved in 1871 and titled, "Crossing the East River on the Ice Bridge," depicting dozens of New Yorkers walking across what would normally have been a busy maritime thoroughfare. While such a natural feat seams unlikely today, Gothamist has collected clippings to show that the phenomenon was known to occur around once a decade on the East River during the 19th century and there have been reports of similar frozen-river bridges along the Mississippi and Ohio Rivers as well. 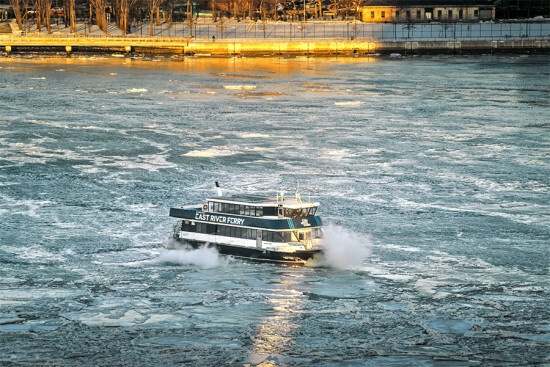 For instance, in 1851, an estimated 15,000 pedestrians, horses, and sleighs crossed the frozen river.